Aloha & ATA Airlines Go Belly Up – How to Get to Hawaii This Year? With the recent announcement that both Aloha Airlines and ATA Airlines have gone bankrupt and halted all passenger service, the question now is – will a vacation to Hawaii even be possible this year? Both Aloha and ATA service to and from Hawaii were critical to some parts of the Hawaiian economy (for instance, ATA operated Hilo’s only flight to the mainland U.S.), so in addition to the poor travelers who are holding ATA and Aloha tickets that are now all-but-worthless, these announcements are causing some worry in the tourism offices around Hawaii. They’re concerned that visitor numbers will be down this year as a result of these airline bankruptcies. Additionally, there are fears that airfare to Hawaii could go up, even beyond the high prices that airlines normally charge for trans-Pacific flights, because of rising fuel costs. The added burden of having to accommodate Aloha and ATA’s stranded passengers isn’t going to make airfare any lower, either. Of course, there are still airlines which can get you to Hawaii, and you may find that there are bargains to be had on the islands this year as the state’s tourism industry tries to lure visitors. Take advantage of any potential deals by looking into a Hawaii vacation rental today. You could lock in a great rate, and then find discounts on everything from boating tours to surfing lessons once you get there. And with a vacation rental in Hawaii you’ll already be saving money over staying in a hotel. 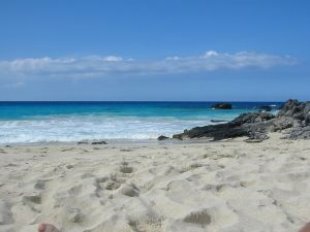 The bottom line is that if you’ve been thinking about a trip to Hawaii this year, you need to make sure of two things – first, that you shop around for airline tickets and pounce on a good deal as soon as you find one, and second, that you take steps to stretch your travel budget in other ways. Then a vacation in Hawaii doesn’t have to be a luxury, but just a reasonable vacation. There are lots of tropical islands around the world, but one small chain of islands in particular is the place where everyone wants to go – Hawaii. But instead of booking the same old boring hotel room like everyone else does, do something different for your Hawaii trip. Make your trip truly memorable with a Hawaii vacation rental. The Hawaiian islands are littered with hotels, some of which are incredibly expensive, but there are also plenty of more interesting places to stay as well. For instance, there is this secluded spot on Hale Akua Aloha on the Big Island. It is so private that you will feel like you are the only people on the entire island – which is perhaps the closest you will get to owning your own private island, so it may be a good idea to take advantage of the chance while you get it! This house is no modern or sterile Hawaiian condo, either – it was built in the late 1950s, and the original builders were able to take advantage of the landscape to create a perfect getaway. And now this perfection and privacy can be yours – if only for a couple of weeks. The property boasts a private pool that is fed by the ocean, so while you may be able to go skinny dipping in private with your friends you will want to keep an eye on the tides. When was the last time you had to watch out for waves in your backyard pool? From your vacation rental in Hawaii, you can also explore all of what the islands have to offer, including hiking, mountain biking, surfing and – of course – just lying around in the sun doing nothing. Of course, this private getaway is not cheap, but sometimes the perfect vacation is not cheap. And if this special spot is a bit too rich for your blood, there are plenty more Hawaii vacation rentals to choose from. But keep this place in mind for when you have saved a few more of those vacation pennies. Wailua River: A lovely river feed from several waterfalls bordered on either side by palm trees and ferns waving hello in the breeze. Whether choosing to kayak or canoe down the splendorous peaceful retreat of the Wailua River. Napali Coast: With green forests seeping into the crystal waters over the powder white sand, Napali Coast brings the word paradise to mind with every step. The sun bouncing off of the rolling waves providing a melodious dance with the whispering winds playing against a postcard background. Whether choosing a walk to collect small shells, boating off of the coast, or relaxing on the shore, Napali Coast is lovely from every point of view. Waimea Canyon: From the rising, deep reds ranges sinking into the many shades of purples of the valleys in the canyon below, the majestic view is startlingly reminiscent of the Grand Canyon. As the sun sets over the ridges, the view down into the canyon floor brings a fabulous picture opportunity for every visitor. Although often referred to as the wettest place on earth, the incredible beauty and landscape of Kauai has often brought Hollywood to its doors to film. After enjoying your vacation rental in Kauai, you will leave with a mind full of memories of a rich Polynesian culture mixed with the most phenomenal scenery. Whether or not you share the secret of your Kauai vacation rental is up to you! 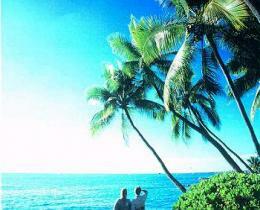 Find the best Kauai Hawaii vacation rental with Vacapedia.